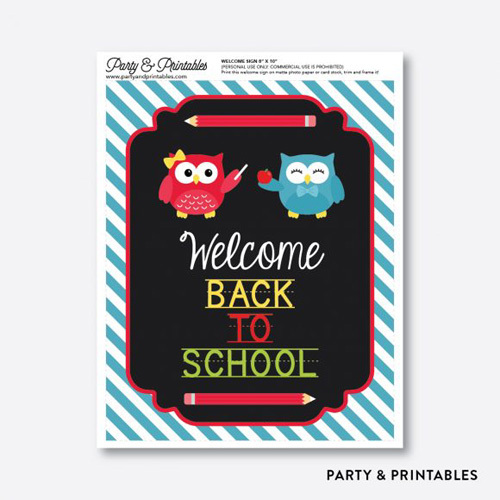 These adorable back-to-school owl printables are designed by Party and Printables. 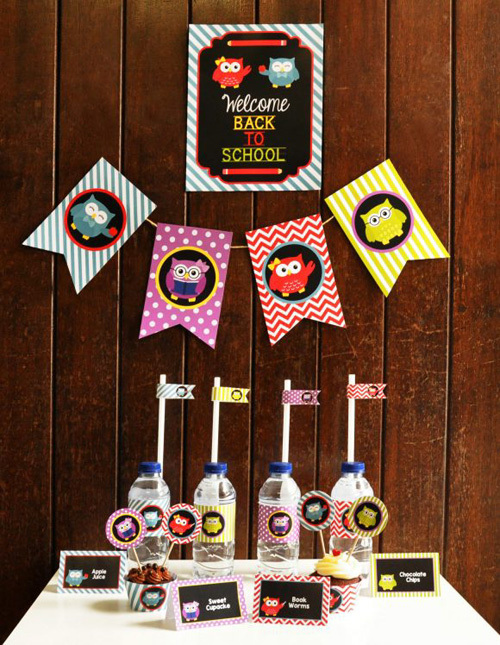 Going back to school can be stressful for some kids but you can turn that into a special occasion and celebrate it before the school day. 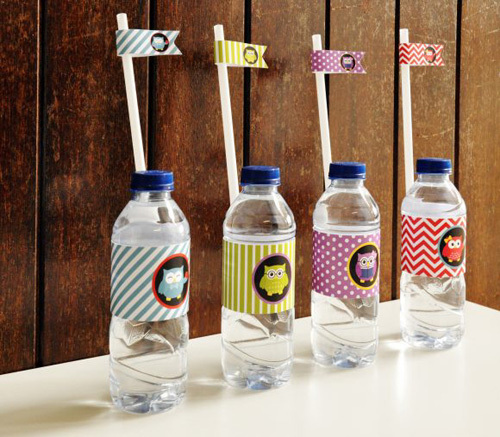 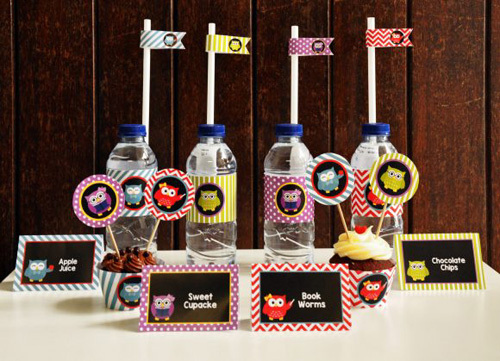 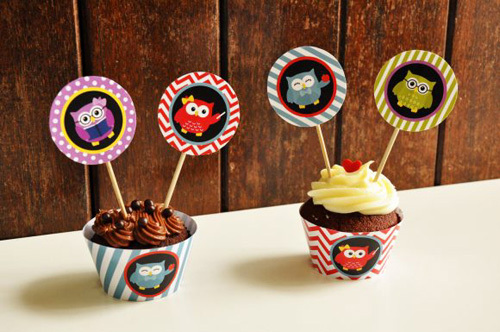 This back-to-school owl collection has everything you'll need to host an awesome party - a welcome sign, cupcake toppers, favor tags, food labels, water bottle labels, straw flags, cupcake wrappers, and a "Back to School" banner. 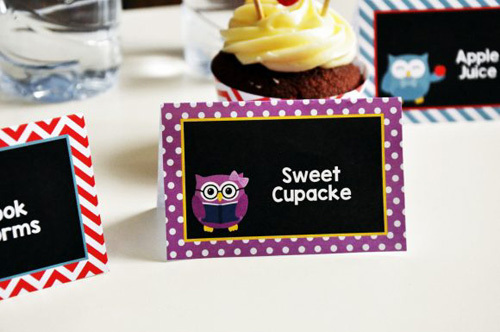 The best thing about the food labels are that they are completely editable. 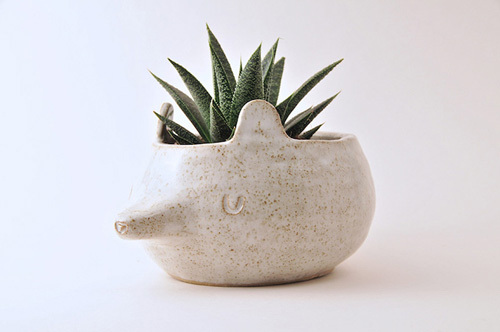 You can type whatever you like! 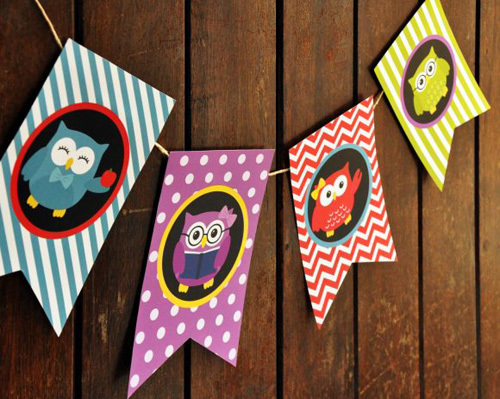 The printables are available to download from Catch My Party. 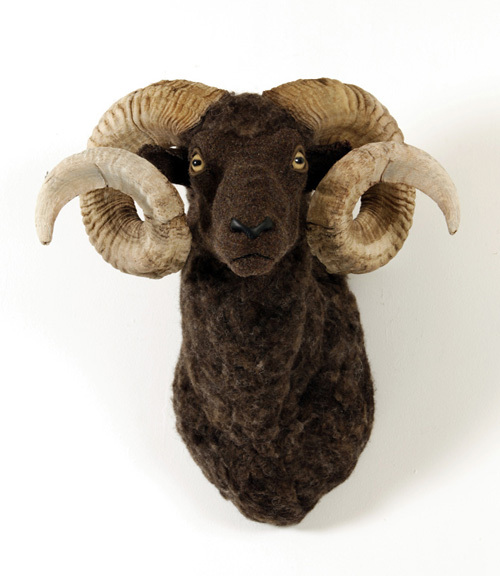 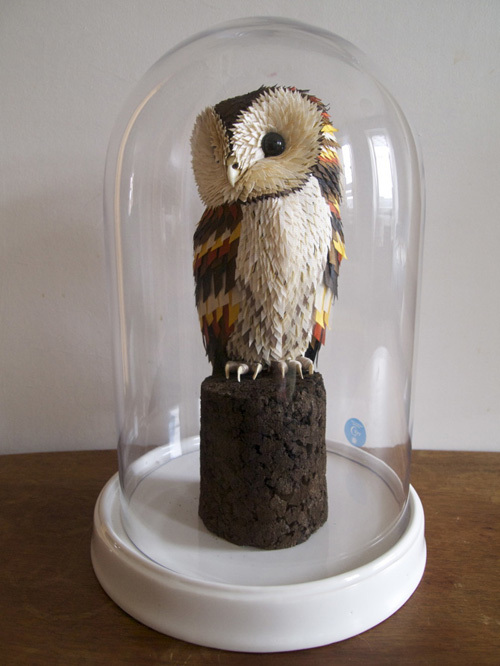 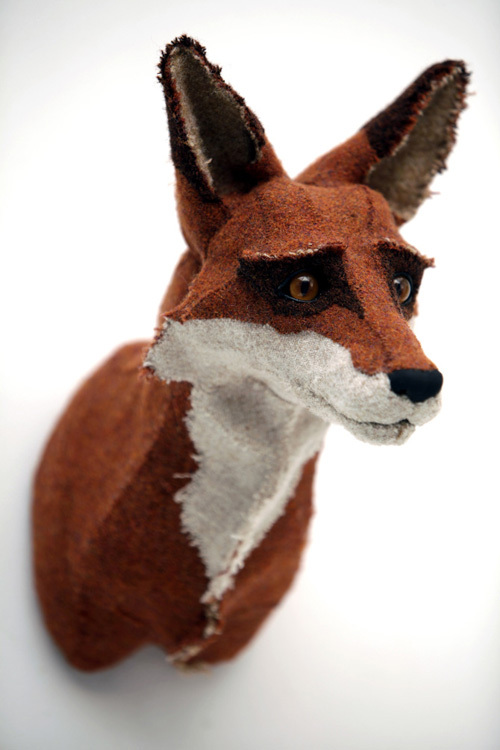 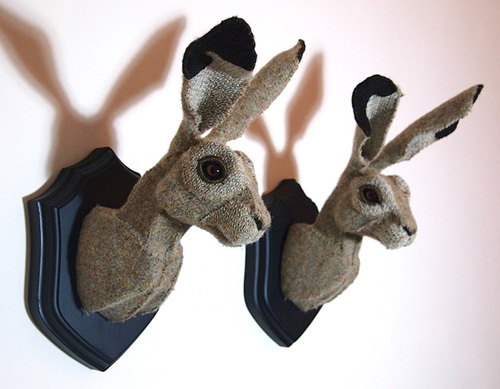 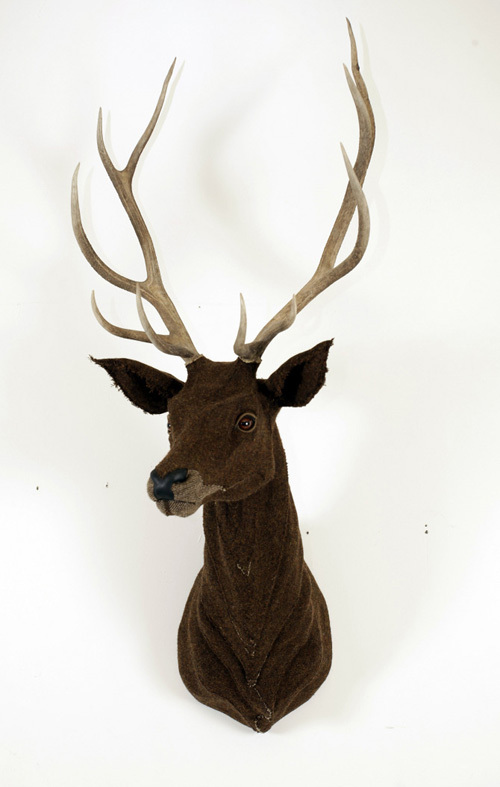 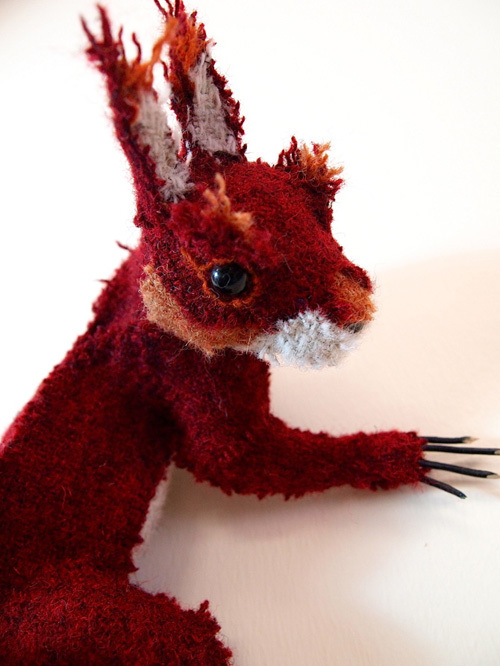 Chloe Harrison makes faux animal taxidermy and trophies under the name Studio Gnu. 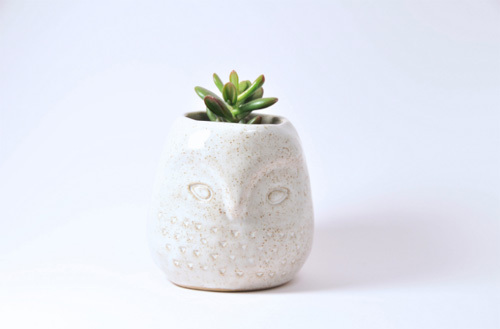 Every piece is handmade using locally sourced or recycled materials wherever possible. 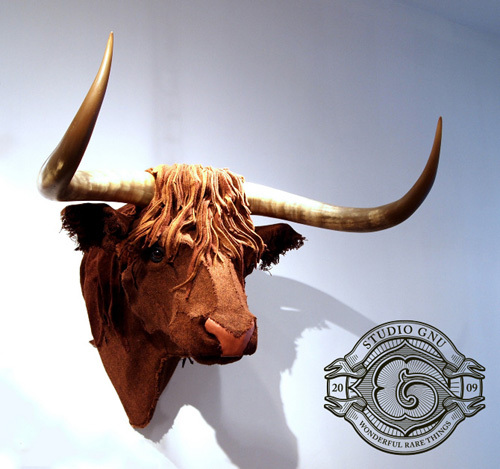 "With a firm belief that no animal need suffer for its art Studio Gnu's products are inspired to create all the character and personality of those in the wild without harming a single hair on their very fine heads." 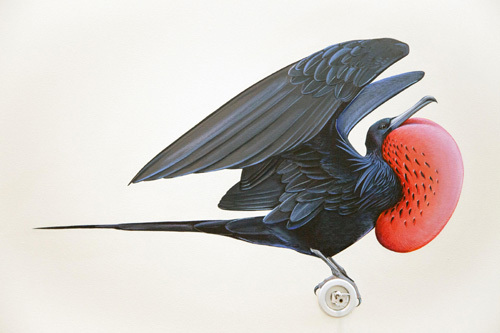 You can view more of her animals from the series on her website This is Gnu. 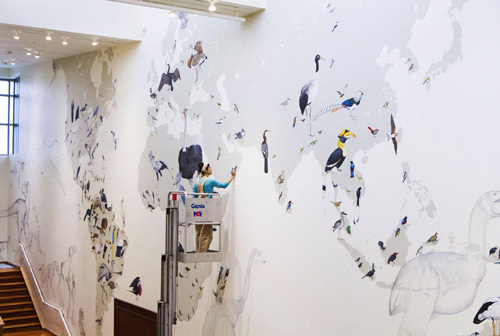 The Cornell Lab's Wall of Birds Project depicts 270 species of birds from over all the world. 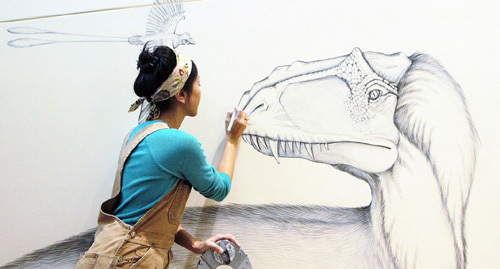 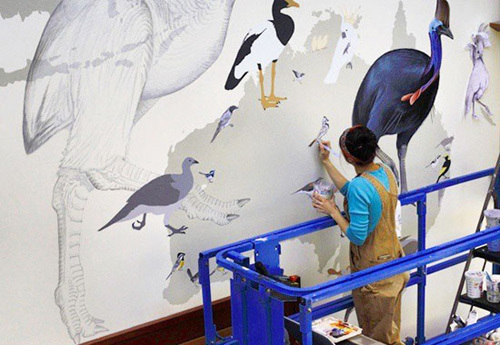 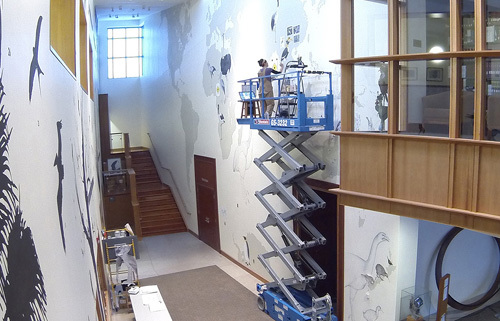 Artist Jane Kim and her colleagues from Ink Dwell Studio painted this enormous mural on the largest wall in the Cornell Lab’s visitor center. 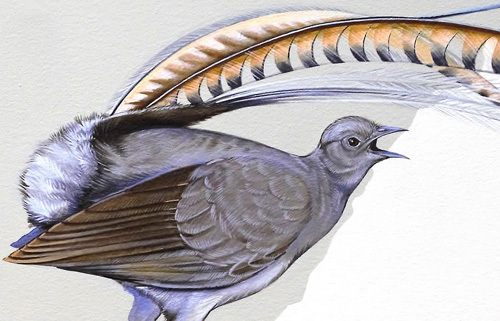 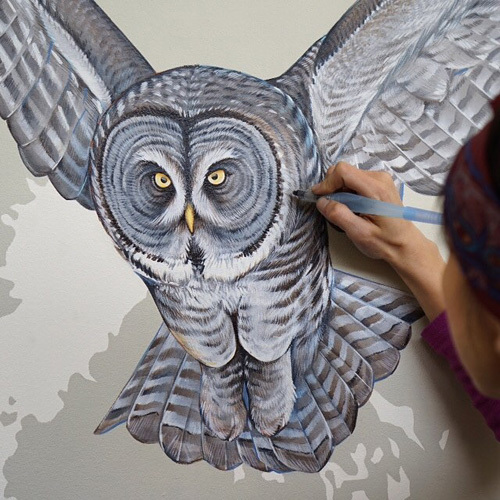 Each life-sized bird portrait was completed in a day on average to meet the goal and brought to life with colorful detail. 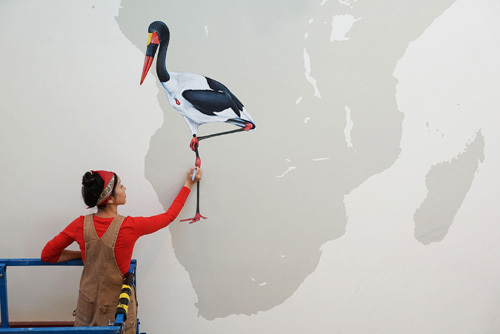 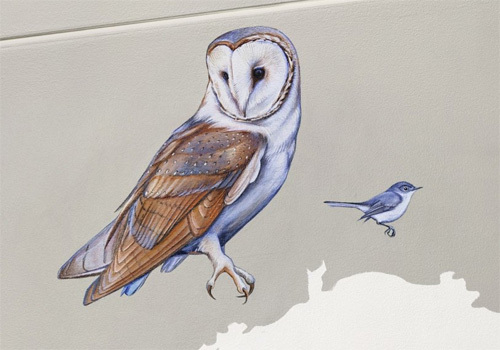 The mural is a celebration of birds spread across the planet from extinct birds and dinosaurs to present day birds. 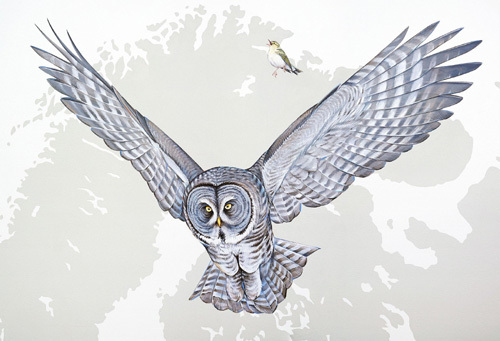 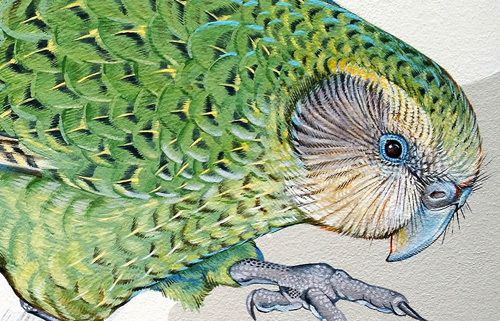 If you are in the area you must go take a look at this spectacular piece of art in person or take advantage of the online interactive version of the wall as part of Bird Academy. 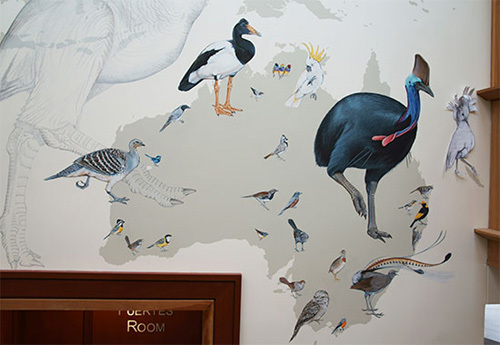 You will be able to explore the wall mural with the most impressive bird collection and zoom in to appreciate the wonderful detail in each one of them. 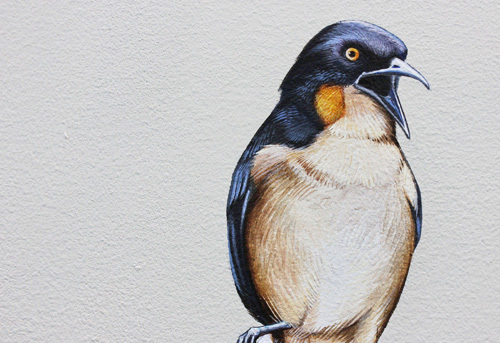 To learn about your favorite bird click here. 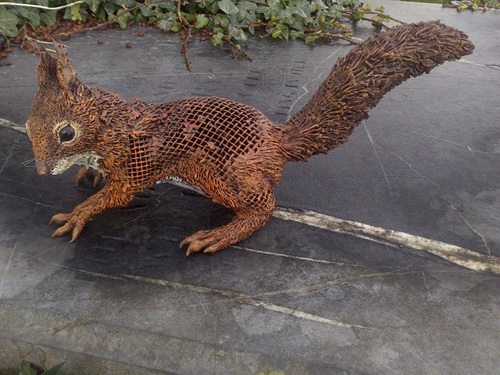 These stunning metal mesh and mixed media sculptures are by Matt Cummings an artist and a sculptor from UK. 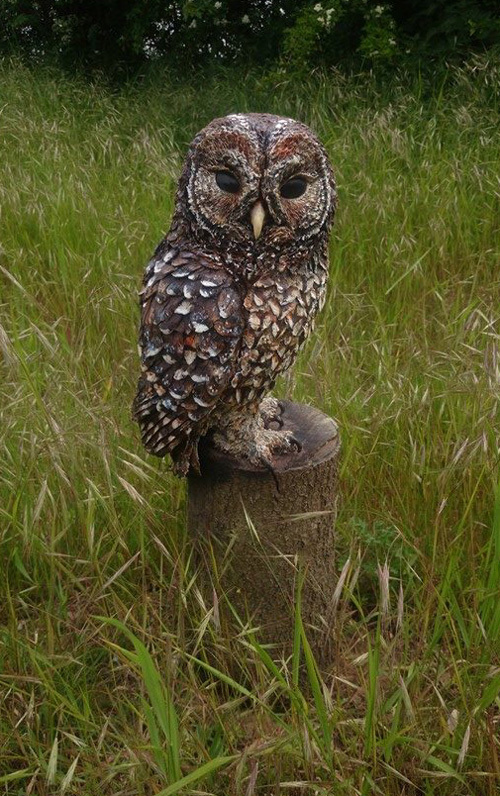 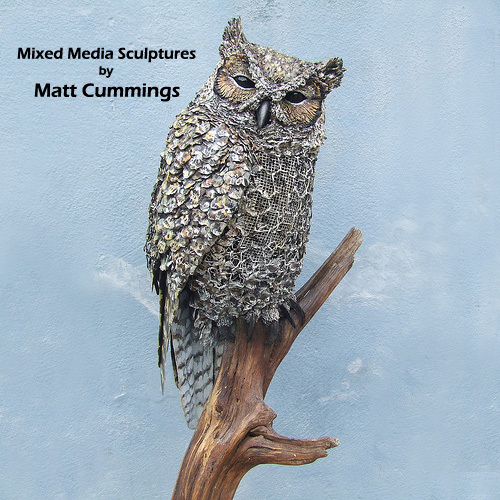 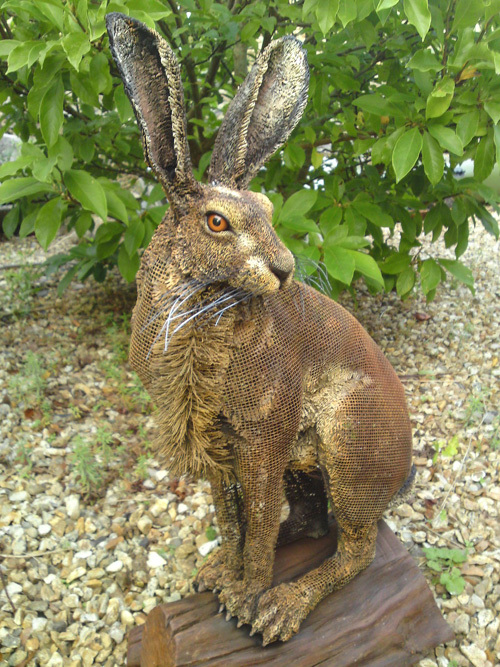 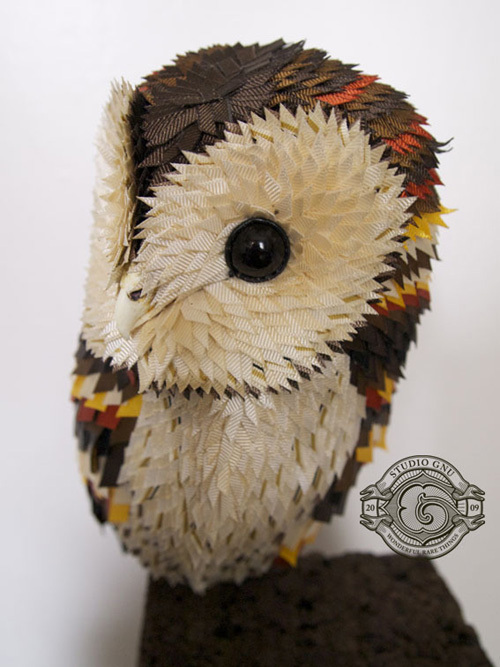 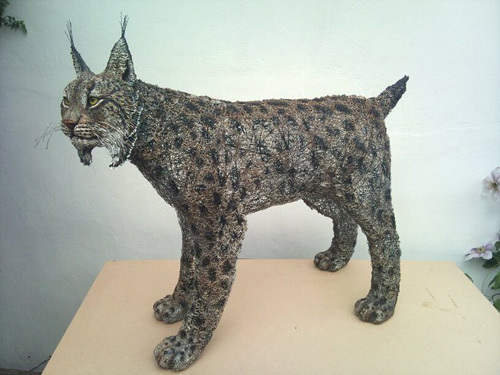 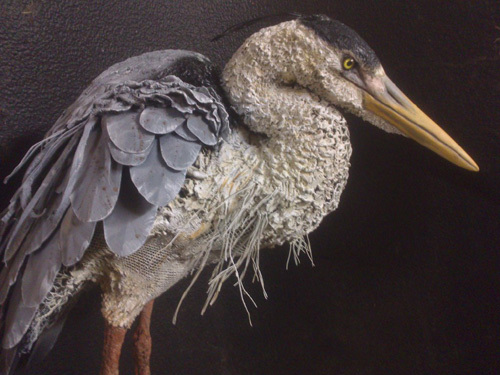 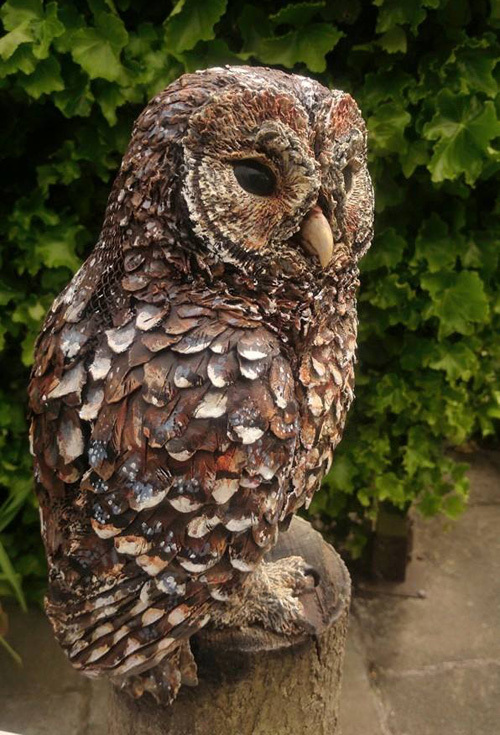 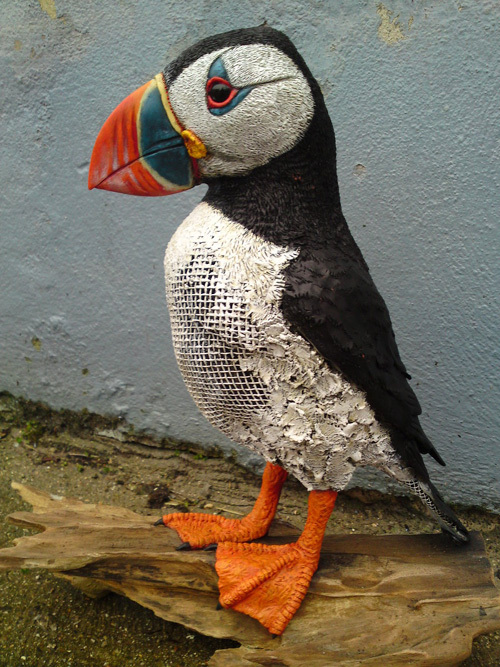 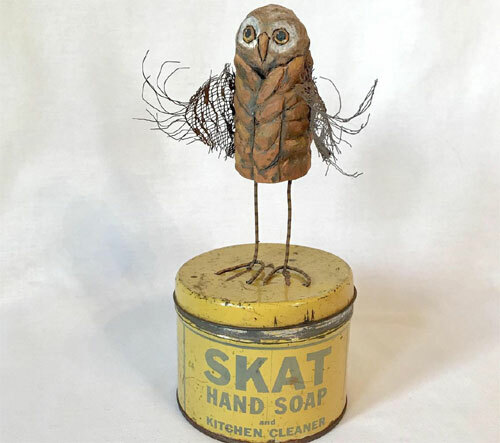 Matt's amazing life-sized sculptures are made using a variety of media including metal mesh, polyform clay, epoxy putty and recycled technology. 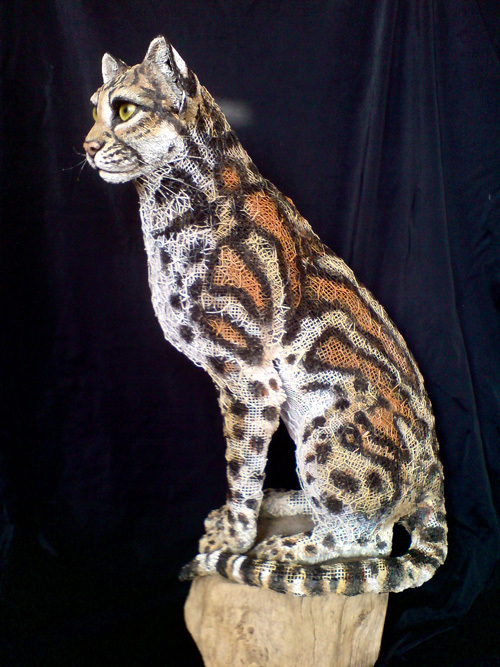 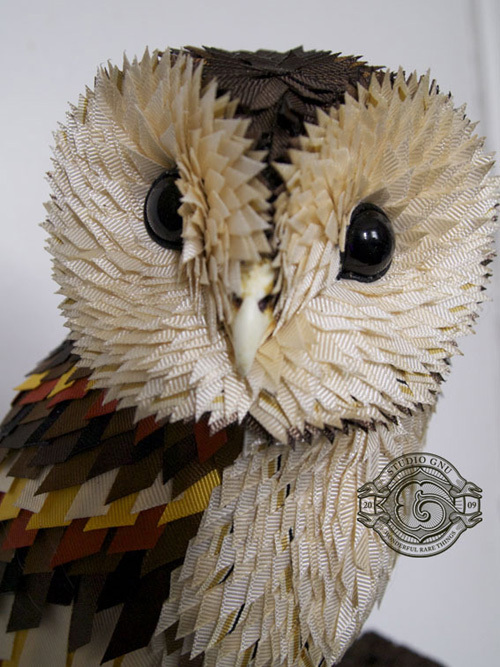 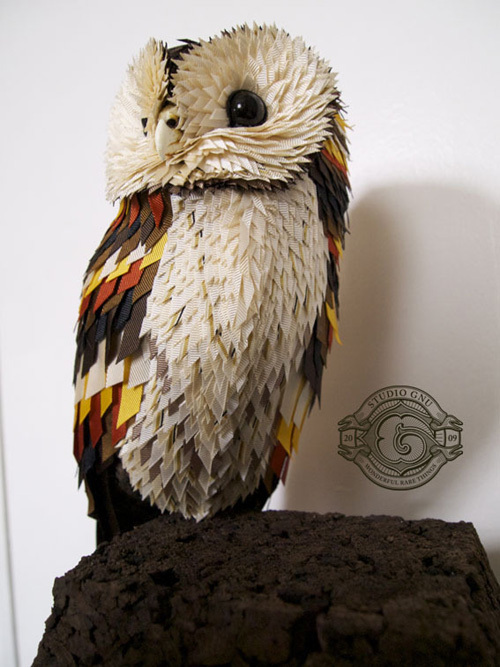 The menagerie includes a wide variety of creatures from owls to otters, from dragons to tigers, from tigers to pandas. 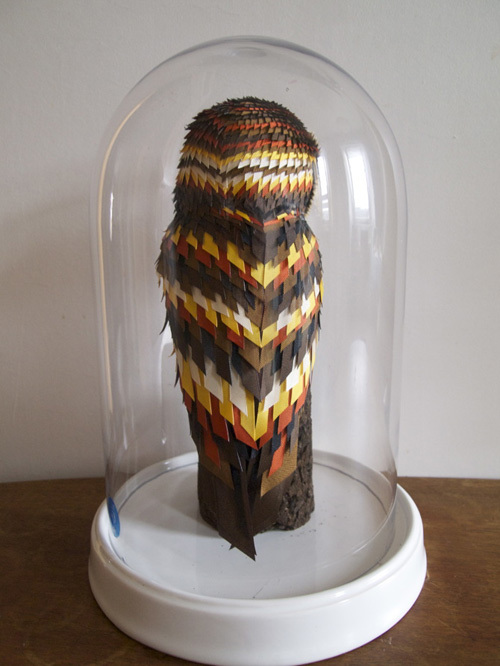 On taking a closer look, the viewer will unfold many incredible details in the multiple layers of the sculptures. 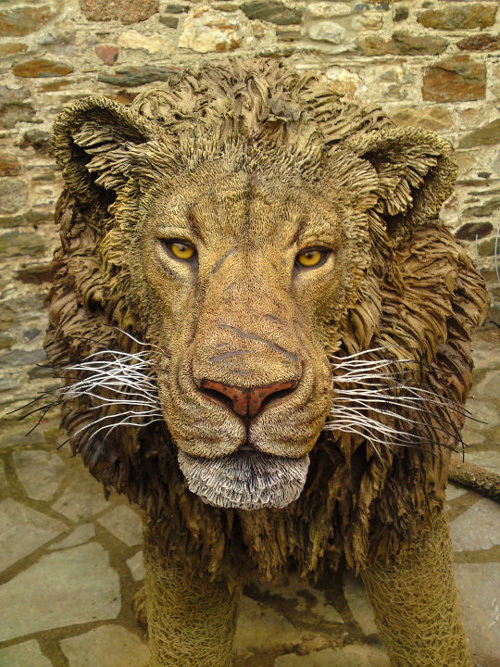 You can view more of his work on DeviantArt, and to see his past work and to get updates on his new work go to Facebook. 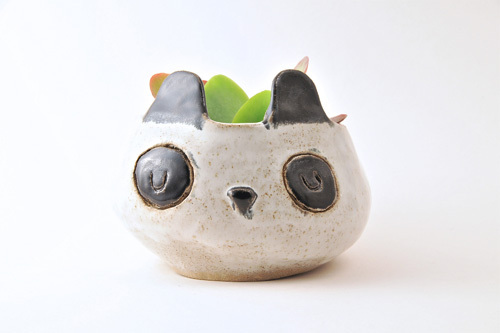 Face planters have been around for a while now. 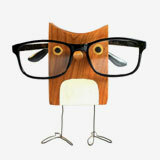 We all have seen various kinds on one blog or another. 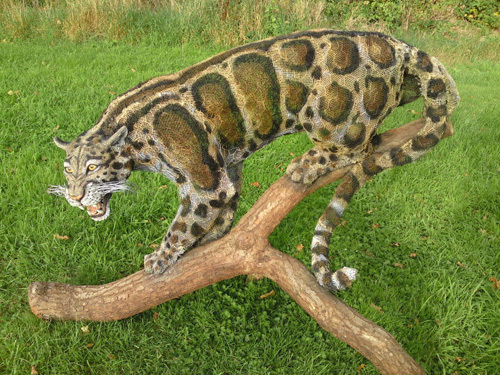 But now and then we come across the one which is so unique. 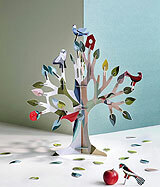 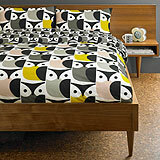 Like the ones shown by Design Forest a brand inspired by animals. 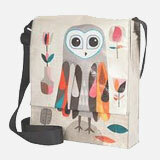 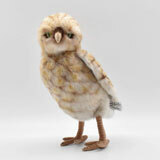 Their products is a great combination of animals and nature that can be integrated into our everyday lives. 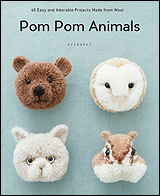 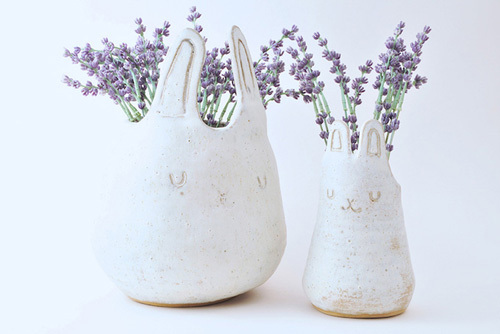 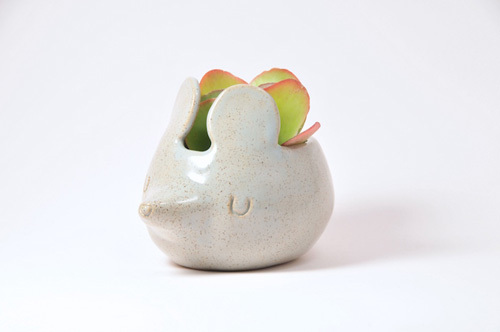 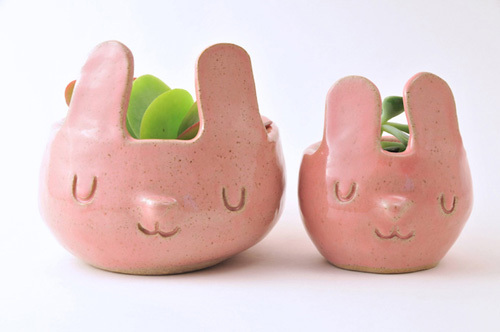 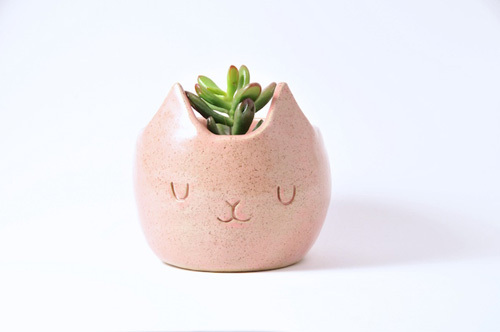 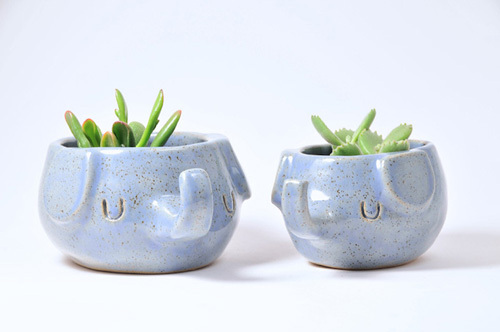 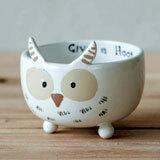 The planters shaped as adorable animals - owl, bunny, fox, cat, and many more come in pastel colors. 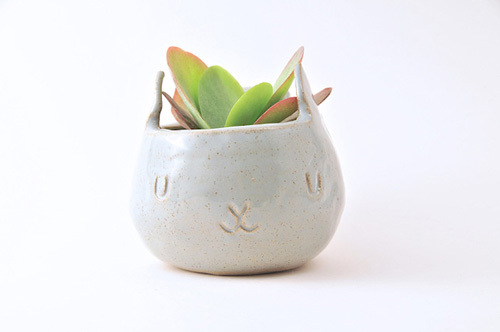 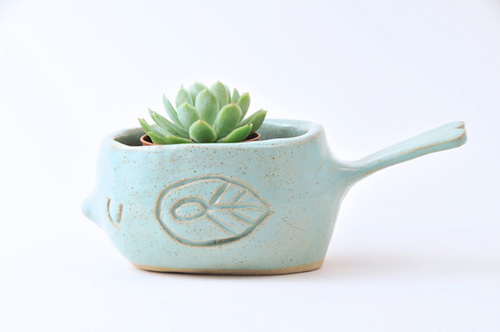 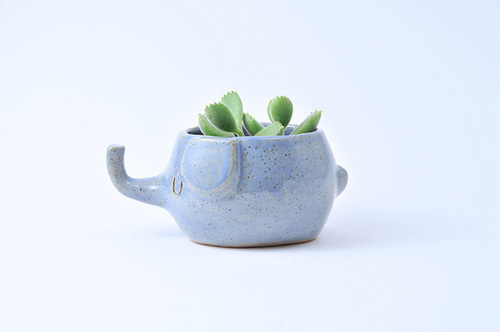 You can find all the available planters on their online store. 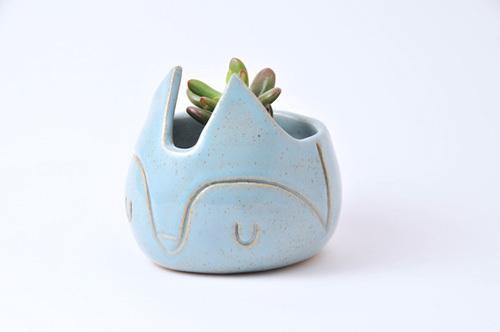 They also have a gallery of their previously sold products, if you like something you can contact them to customize it for you.